At Freestyle Pools, we believe that building strong relationships with our clients, is key to achieving the perfect result. From the initial quote, to excavation right through to handover. You will be dealing with one person. No salesmen, no supervisors, only the builder responsible for your end product. Our record of customer satisfaction is second to none with many customers building their 3 and 4th pool with us. Customer referral's are our strongest source of new business. 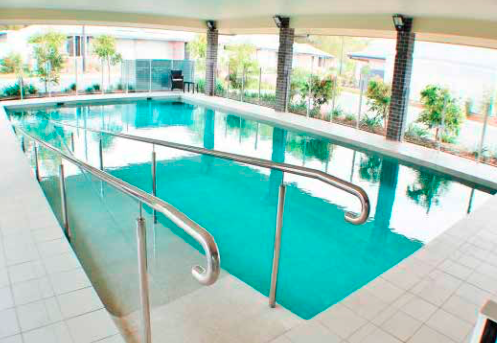 This, along with a flawless QBCC record, gives you total assurance that your pool will be built on time, on budget and to your absolute satisfaction. Accessing state-of-the-art filtration, cleaning and lighting technology, along with the best in modern finishes, Freestyle pools offers a premium service when it comes to concept, design and construction of your new pool, without the designer pricetag. We look forward to helping you build the swimming pool of your dreams.